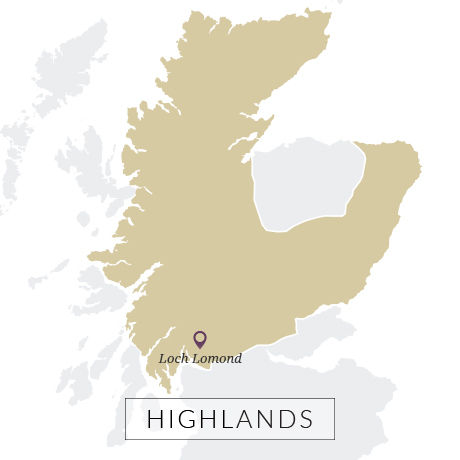 Loch Lomond was set up by its former owner to be Scotland’s self-sufficient distillery. Rather than playing the normal game of exchanging the spirit you make for fillings of grain and malt for your own blends, it made all its requirements itself. That meant being innovative. 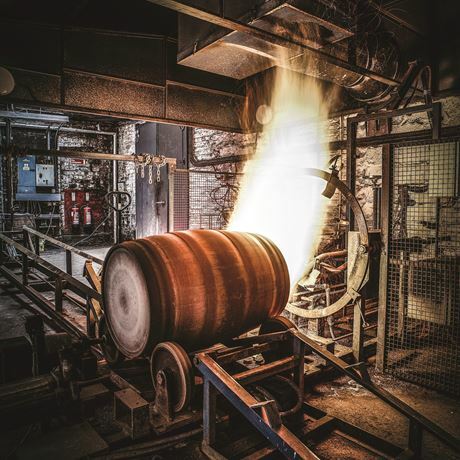 The original distillery held a set of pot stills with rectifying plates in their necks (also known as Lomond stills), allowing different flavour streams to be produced. 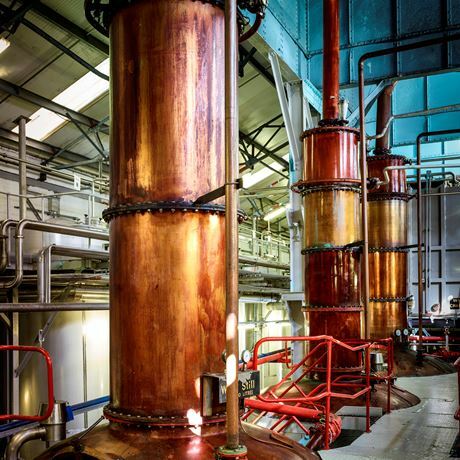 Expansion in 1990 saw a second pair of the same design being installed, before the distillery installed two continuous stills three years later in which to make its own grain whisky. Two ‘traditional’ swan neck pot stills were added in 1998, before an additional continuous still, set up to produce grain whisky from a 100% malted barley mash, was installed in 2007. With the recent addition of two more Lomond stills, Loch Lomond has the capability to produce 11 different distillates for its whisky brands (not including the spirit coming from Glen Scotia). Wine yeasts have also been used to help create different flavours. In many ways it is more akin to a Japanese approach to distilling than a Scottish one. 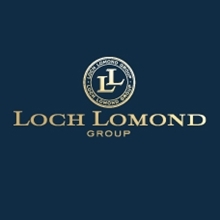 As well as the High Commisisoner blend, Loch Lomond has produced a range of single malt brands, including Inchmurrin, Inchmoan, Inchfad, Old Rosdhu, Croftengea and Craiglodge. 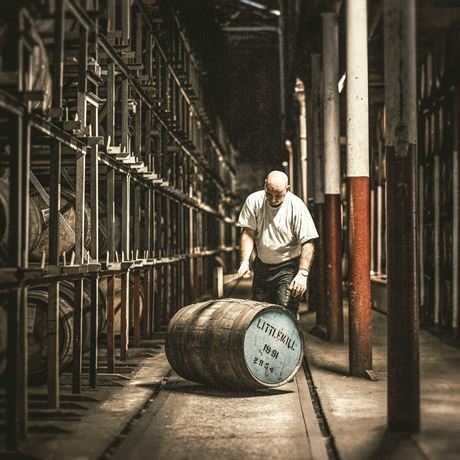 While all have been available as official and independent bottlings at one time or another, only a handful continue to be bottled as part of the distillery’s current range. A product of the 1960s distillery building boom, Loch Lomond was built in ’66 by a joint partnership between Duncan Thomas, the American owner of [now demolished] Littlemill, and Chicago-based Barton Brands. The American firm took full control in 1971, but closed it in 1984 when that boom turned to bust. It passed into the hands of Inver House the year after, before they flipped it to Glen Catrine Bonded Warehouse Ltd in 1986. The firm added Glen Scotia to its portfolio in 1994. Glen Catrine was the bottling and ageing arm of Bulloch & Co, a well-established blending and retail firm which owned the High Commissioner brand as well as, in time, Glen’s Vodka. Under Glen Catrine’s ownership, Loch Lomond grew to become the most flexible – and arguably the most innovative – distillery in Scotland. Its specialisation in the private label and export business however meant that its operations were never widely reported, or understood. The firm was sold in 2014 for an undisclosed sum (believed to be in the tens of millions) to private equity firm Exponent whose new distilling division, Loch Lomond Group, is headed by former Diageo executives.